Have you been noticing negative changes in your body when you're under a lot of pressure? 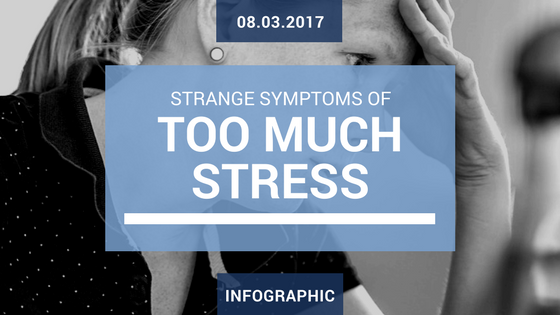 Learn how chronic stress enhances some weird symptoms in our infographic below, then determine how to deal with that stress! Just as chiropractors are the champions of natural methods for treating problems with the spine, we at Infinity believe that one's everyday life can be improved by healthy and natural means. Infinity Massage Chairs are the perfect complement to your patients' chiropractic care by aiding with multiple conditions. With golf season just around the corner, it's time to prepare before getting back out on the green. 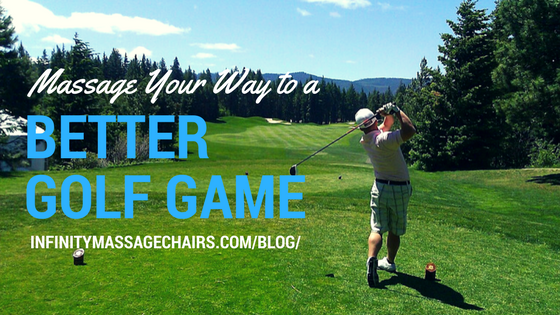 Did you know massage benefits golfers in many ways? This goes for everyone from weekend warriors to touring professionals! One of the greatest benefits of owning a massage chair is the fact that the whole family can enjoy it, which makes it a true investment. 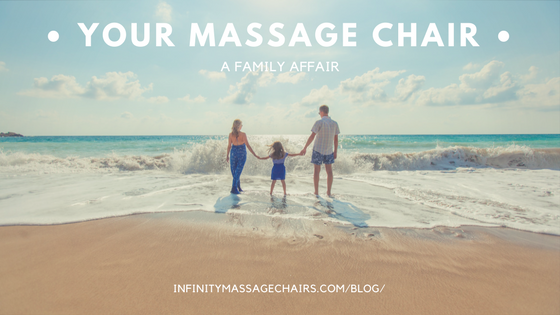 Because most high-quality massage chairs come with a range of techniques, auto programs, and manual programming ability, each family member (and friend, if you really like sharing) can enjoy the type of massage that best suits him or her. February is American Heart Health Month! Did you know cardiovascular disease is the number one killer of men and women in the United States, according to the American Heart Association? 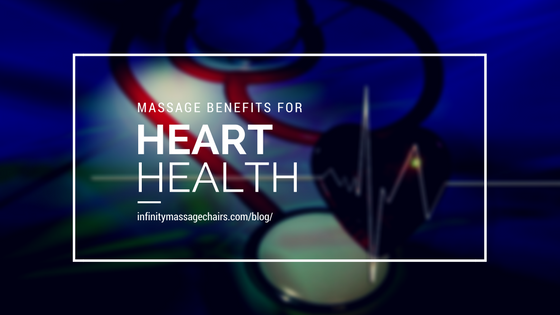 Fortunately, massage therapy can serve as a powerful complementary treatment for heart health. 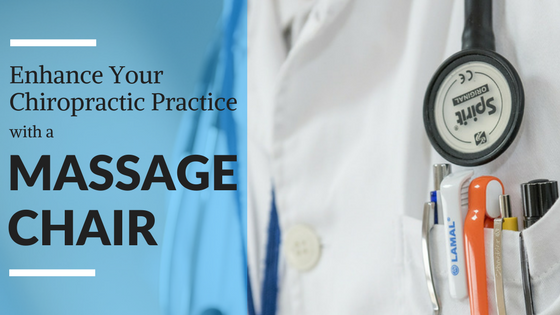 Discover how massage benefits the heart, and then spread the word all month long! 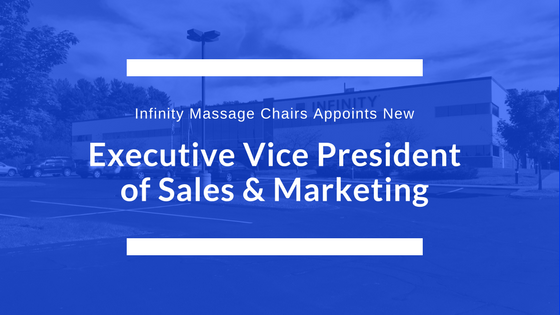 Infinity Massage Chairs is excited to announce that Dan Grover has joined the organization to further develop its business plan and implement new sales and marketing strategies. Grover comes with a total of 15 years experience in consumer goods and an entrepreneurial mindset, having spent the last five and a half years as Executive Vice President of Direct Sales at Traeger® Wood Pellet Grills. 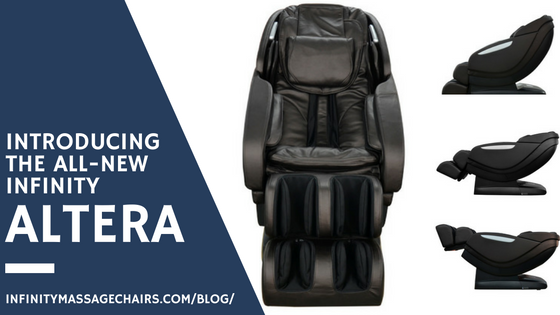 Infinity Massage Chairs is excited to announce the newest addition to our collection, the Altera! This brand new model offers an extremely soothing experience for a wide variety of people. The Infinity Altera was designed for petite users, who often struggle to find a massage chair that fits them properly. This shouldn't deter our taller audience, however; the chair will comfortably seat anyone ranging height from 4 feet 9 inches to 6 feet 2 inches! © @DateTime.Now.Year Infinity®. All rights reserved.